…all I had to do was return the retainer and that would have been the end of it. But I was already hooked. The little terrier in my nature was busy chasing after the problem, throwing dirt up behind me as I dug my little hole. There was a rat down there somewhere and I would have it for my very own. It’s this attitude that won me to Kinsey’s side, and has kept me reading her. Fritz McCabe has just been released from prison — ten years after being given the maximum sentence for being part of a murder as a high school student. Now his parents are being blackmailed with the threatened release of a videotape (seeming?) to show him (and the others involved in the murder) participating in a sexual assault on a drunk/high younger girls. If this tape leaks, he will be put back in prison, doing adult time. The legal bills will destroy his family, and they know that the blackmailer’s demands will eventually do the same. Kinsey’s hired by the parents to put an end to the blackmail. She is, rightly, horrified by the events on the tape, but wants to help the parents. While she investigates what happened to the tape for the decade-plus since the murder (and the brief time between the making of the tape and the murder), Kinsey investigates the events surrounding the creation of the tape (how consensual was it?, was it just a joke by all involved?) — and keeps brushing up against the murder. What actually happened? We get flashbacks to the day of the murder (and the lead up to it), so that we see a lot more than Kinsey will get exposed to through memories, dishonest witnesses, and news stories. It’s pretty obvious to the reader what actually happened in 1979, and what’s probably going on in 1989, early on — we don’t get the full picture until Kinsey does, but then it’s just confirmation. The final reveal on this was nevertheless very satisfactory — possibly the best part of the book. Meanwhile, the serial killer from X is still lurking around, trying to find some of the evidence he left behind — and is harassing Kinsey while at it. This is by far the most interesting of the stories, but it can’t seem to keep Kinsey’s attention the way it should. She even notes that herself — clearly it’s something she doesn’t want to think about, and who can blame her? But how do you not think about it? The ending to this story wasn’t as satisfying to me, but it worked, and wasn’t (exactly) what you’d expect. The flashbacks didn’t work as well for me as they have in previous novels, I’m not sure that I can put my finger on why, but Grafton didn’t pull it off as well. It could be related to the fact that everyone in this story was thoroughly unpleasant — the only person you could kind of like was the girl you knew was going to die. Actually, I liked her a lot — even though in the opening chapter I knew she was going to be dead for a decade by the time Kinsey gets involved. One other member of the group who served time related to the murder has made the best of his life that he can following his release from prison — he’s really turned his life around, and I could admire him (in 1989). Once things heat up on the serial killer side of things, I really liked everyone involved — it was a collection of great characters. As I write this, I realize just how much I wish the book focused on this story (I honestly didn’t realize that until now). It is really hard to talk about, however, beyond what I’ve said already, so I’ll just leave it at that. There’s a few things going on in her personal life — with Henry, her cousin, Jonah, etc. I’m not going to bother with it, typical judgmental, cantankerous Kinsey — and that’s about it. I don’t think I’ve ever got too concerned about historical accuracies in these books before, but there were a couple of things that people said that just didn’t seem like 1989 to me, maybe mid-90s. But it didn’t distract me too much or take me out of the story for too long (which is the make or break thing for me when it comes to this kind of thing). It wasn’t bad, but it sure wasn’t good — Y is for Yesterday will scratch the itch that long-term Kinsey fans have, but won’t do much for newer readers. I’d forgotten how slow these books start, if I didn’t have confidence in Grafton built over 23 previous novels, I don’t know if I’d have kept going. 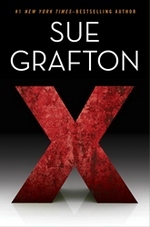 By page 100, I was curious about both mysteries, engaged enough to keep going – but still no serial killer, no interesting crime — a lot of X’s in character names and whatnot — enough that you know Grafton intended them. The highlight had been meeting Cheney Phillips’ mom, fer crying out loud! You’d think with just three books in the series remaining, Grafton would be pulling out all stops to make this dazzle the readers, but nope. This book is possibly the most subtle, where the actual mystery, the heart of the book is lost in the midst of the mundane — not unlike actual life. Really, most of this book was the Adventures of Kinsey Millhone, Busybody with Too Much Time on Her Hands. By this point, if we know nothing else, we’ve learned that you do not move into Kinsey and Henry’s neighborhood. If Kinsey decides she doesn’t like you, your life is going to be pried into, turned upside down, and — ultimately — you’ll find yourself living somewhere else. Gladys Kravitz has nothing on Kinsey. Now, whether it’s a gold-digger sniffing around Henry, an insane nurse, or what have you, Kinsey’s gut has been right — but she can’t bat a thousand, can she? Still, Henry gets some new neighbors who get him to run all over town on their behalf while he obsesses with a potential drought and water rationing — and by obsesses, I mean he turns in to Adrian Monk. Kinsey sees them taking advantage of Henry and steps in. I really didn’t like this storyline — Kinsey came off as a shrew (and, yes, I get it — part of this series has always been showing her warts and all — still, I want to expect more from her), no matter how rude and manipulative and possibly worse these new neighbors may be. There’s another storyline that’s kicked off in the Prologue — I noted after reading it that we wouldn’t return to that for 300 pages or so. I was off by about 100, a mistake I’m willing to make. But it didn’t come back in the way I expected. Kinsey is hired for a job, and after completing it, she’s visited by the police, and she learns that she wasn’t working for who she thought she was — and that’s just the beginning of the problems — so she starts digging into her client, and what that client wanted her to accomplish anyway. This is one of the strangest, and possibly the most pointless, mystery Kinsey’s reported to us. With an oddly sentimental ending. Pete Wolinsky, investigator of dubious morality from W is for Wasted (and Kinsey’s early days as a P. I.) turns up again. His widow, Ruthie, is facing an IRS audit and asks Kinsey to look through the papers she still has of his laying around for any financial records. Kinsey gets around to it eventually, and in the process finds some well-hidden materials and a coded message. Henry, puzzle-writer extraordinaire, decodes it and comes up with a list of names — some of which have a connection to one of Pete’s cases that Kinsey was aware of, but the rest are a mystery. This starts needling at Kinsey’s curiosity (which is already purring along thanks to the mysterious client above), and she starts going over Pete’s tracks, trying to see what was so important that he would feel compelled to leave notes in a code. Not only does this involve going back over Pete’s case, but decades before — and then back to the present. The rocks she turns over reveal a good deal, and maybe even help Kinsey learn to appreciate Pete in a way she should’ve while he was still with us. We do check in with Jonah Robb, Robert Dietz, and the aforementioned Cheney Phillips, but nothing happens at all even approaching romance. Which is fine by me, Kinsey on her own is more interesting than Kinsey trying to make things work with a guy. Naturally, we spend a little time at Rosie’s and see William make a bold fashion choice. Yeah, it’s just that exciting a book. There’s a character early on that the reader (and Kinsey) pegs as the major villain of the piece, but he’s never focused on to the exclusion of all the other moving pieces, so that when things get serious and dangerous, it’s almost as much of a surprise to the reader as it is to Kinsey. I think the way Grafton pulls off handling the storyline, letting the danger get hidden in the shuffle is what made me rank it so high. Actually, as I write this I’m wanting to rank it lower, but I’m going to trust my initial judgment on this (but honestly, I’ve read a couple of 2 star reviews for this that I wholeheartedly agree with). It was nice going back to Santa Teresa to spend time with the old gang, but I’m really hoping Grafton makes these next two a little more worth the effort. There are two (dead) men that we focus on in this novel — the first, Pete Wolinksy, I’m pretty sure we’ve met before. He did some work for the men that Kinsey apprenticed with, and she’s run across him at least once before in the novels (but I’m not going to run off an verify that). The other deceased individual was a homeless alcoholic who died on the beach with Kinsey’s name and phone number in a pocket. With business slow, and her back account healthy — that’s enough to let her curiosity take over and find out what happened to this man, and to find out why he was carrying her name. Along the way, Kinsey finds some relatives from her father’s side of the family — in recent years, she’d learned a good deal about her mother’s family, but hadn’t looked into her father’s. Now she has the opportunity, and while she doesn’t find as much (for now), but it’s something. This allows her to reflect a little on her current relationship with her mother’s side, too. I appreciate Kinsey’s self-awareness about how whiny she is can be (and usually is) regarding her extended family and how she really doesn’t feel that way any more except out of habit. Hopefully, in the next book or two, we see some real development and some degree of closure with her maternal grandmother, aunts and cousins. I’ve read a lot of criticism lately (particularly focused on this book) about how little character development there’s been here. This book — the 23rd — takes place 5-6 years after A is for Alibi, right? So of course, the development will be incremental — that’s how people change in such a short amount of time. It seems natural to me. The mysteries weren’t all that compelling to me, and mostly seemed to be excuses to expose Kinsey to her family, Dietz, and to allow her to comment on the homeless problem in Santa “Theresa.” It took me a long time to get/care about the subplot told in flashbacks — once I did figure it out, I felt pretty stupid, to tell you the truth. Regardless, it wasn’t the most interesting flashback sequence Grafton’s done. It was effective enough, I guess, it just seemed to be missing something. The new stuff aside, what about our old friends? We got a little time with Henry — Henry as meddling, advise-giving, semi-authority figure. William is his regular annoying self, and his wife, Rosie, was around just enough. There was a quick appearance from Con Dolan, and another from Cheney Phillips. Best of all, we get to hang out with Robert Dietz for a few chapters, and see a slightly different part of him. It seems very likely, and maybe even probable, that we won’t be seeing (at least) one of these characters again, based on what we saw here (and the number of books left). The main quibble I have with this one is the dialogue — too often it’s just dreadful here. Painful to read — some of these characters read like technical manuals, or brochures for a tourism board. I’d b e willing to bet another editing pass from Grafton could’ve taken care of almost every flat, dull, or expositional line of conversation. But at this point, who’s going to make Grafton do something like that? If she catches it on her own, great — but there’s no editor in the world that’ll hold her feet to the fire. Not her best work, there was almost no suspense at all here, and at a certain point, the whodunit became so obvious it was almost impossible to care about any more. 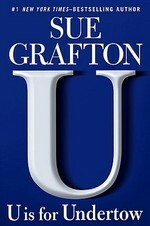 But Grafton did enough to keep my interest and keep my fingers turning pages, and that’s enough. Kinsey’s never been the flashiest P.I. around — she’s stable, down to earth, and gets the job done. Which is pretty much what we got here. Grafton again goes for a multi-perspective, bouncing back and forth between Kinsey’s present and the case’s past approach to this book. It weaved an interesting arc, once you put all the pieces together. I see why she’s using it, I appreciate the skill, but it’s a trick she’s relying on too often, I fear. It’s starting to dull the effectiveness. This wasn’t a typical case for Kinsey — other than the cold-case nature of it, which she seems to do a lot of lately. A missing persons case this time, brought to her by — never mind, it’d take to long to explain, you’re better off hearing it from the client. Typically, in a PI/mystery novel, you get hardened criminals, seemingly destined for it since birth — sadists, psychopaths, just generally mean people, that sort of thing. But really, crimes are probably just as often perpetrated by the stupid, the bored, the desperate — it’s good to have reminders of that. It’s also entertaining, because it’s the last people you’d think to look for, so when someone like that pops up in a book, it’s refreshing. I did really appreciate the self-aware flash of insight Kinsey has while listening to someone unloading a well rehearsed recital of family sins against her. Kinsey sees what she must sound like to others when she does so. Not often that someone as self-assured as she is has such a moment of clarity, and it’s nice to see that Kinsey’s capable of it. Even better is that this insight led to a very promising leap forward in the ongoing story about Kinsey’s estranged family. 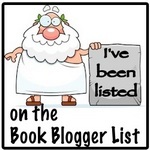 Oh, as an added bonus…there’s some pretty helpful writing advice tucked away in here. Another worthy entry in this long-running series, not much else to say, really. First thing I noted about this was, “This Prologue’s a bit heavy handed and overly dramatic . . . who knows? Maybe it’ll be justified.” I still think it was a bit too much — but on the whole, it was justified. This was a slow burn of a novel. Sure, the reader is introduced to the villain, Solana Rojas, right off the bat (thanks to third person narration focusing on her in chapters interspersed with Kinsey’s narration), but Kinsey isn’t even hired for anything regarding her until roughly 100 pages in. The whole setup for this book is so unlike Grafton. I liked this, and it bugged me at the same time. Mostly the former, though, I’m all for Grafton stretching herself. There was a time where Rojas had the upper hand over Kinsey, and while we know in the end that Kinsey will win out, Grafton sure could’ve made things look a little more dire for Santa Teresa’s hero. It was just a little too easy for Kinsey to convince others what was going on. In the end, that didn’t make this less satisfying. 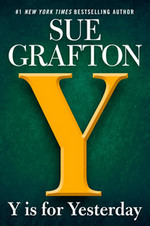 Grafton’s never been a slouch, but in these last few books she’s really upped her game — this is the best thing she’s done. Her characters are better drawn, the plot’s more intricate, Rojas was probably a little more evil than anyone that Kinsey’s crossed paths with before. This is definitely the creepiest, most disturbing Grafton novel — haven’t read much in the last couple of years that’s as unnerving, really, when I stopped to think of it. Not as gory or violent as many in the genre (nowhere near that), but when you look at the trail of destruction that Rojas has left before she’s stopped — she’s unsettling in a way that your typical fictional serial killer isn’t. Grafton’s clearly stretching her craft in these last few books, which is commendable — and, on the whole, pretty successful. Like in Q is for Quarry, Kinsey’s working a cold case, this time she’s not even sure if it’s a missing person or a murder that she’s been hired for. There’s an interesting pattern to these chapters — one or two in Kinsey’s present, and then a chapter from the Point of View of one of the people that knew the subject of her investigation a couple of decades before. Not only is this a stylistic leap for Grafton, it’s pretty interesting for her to be giving the reader that much more insight into the characters. But overall, I wasn’t crazy about seeing how every one’s a liar, before or after they talk to Kinsey. I’d rather watch Kinsey discover the lie, or see that they’re lying, rather than we readers knowing that and Kinsey being lost. 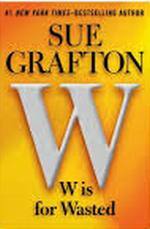 As we move along, we are given a more complex look at our victim than Grafton’s usually able to provide. We get to know her better and better each time we’re given a look at the past. We see how various people saw her through their perspectives and end up caring a lot more about her when we learn what happened to her than we normally would. 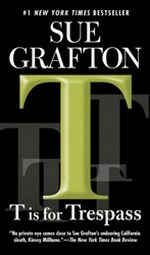 I’m not convinced that the case itself was that interesting, but the way that Grafton told it was very interesting and raised the level of the book. Making this satisfying in a way that Kinsey stories usually aren’t. Grafton essentially ignores the ongoing family and romance stories she’s been pursuing lately — a nice break, but hopefully she returns to them soon — as much growth as the books have displayed lately, it’d be nice if Kinsey could catch up. Grafton took a chance this time, and it paid off. Hope she keeps stretching herself as eh move on towards Z. So here we are at the 18th Kinsey Millhone mystery, and as is the case with a lot of these books, this is a really mixed bag. However, this time, it’s the non-case work that’s the most interesting (pretty sure that’s a first for me). There were some moments to the main story, but on the whole I found it dissatisfying. Kinsey’s hired by the father of Reba Lafferty, a soon-to-be-paroled woman, to pick her up from the prison and accompany her for the first few days, help her get established on the outside — he’s too old and frail to do this himself, and there’s no other family to call upon. It doesn’t take long before she’s teetering on the verge of parole violations and seeking revenge on those from her old life that wronged her before and/or during her incarceration. 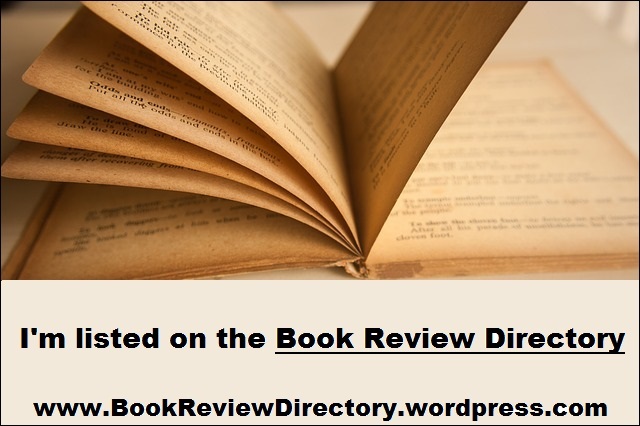 Kinsey spends the book trying to minimize the damage and help out various law enforcement agencies who have an interest in Reba’s targets. On the whole, I found this story to be wholly predictable and I couldn’t understand why Kinsey was allowing this woman to pull her around by her nose. Maybe it’s because Reba becomes the closest thing she’s had to a female friend since her days with an office in the insurance agency building. Regardless, there’s no excuse for someone with Kinsey’s experience to act like she does here. There’s one character involved with Reba’s family that primarily serves as a giant red herring — mostly for the reader — I don’t remember Grafton doing that before. Sure, Kinsey’s investigated a dead end or two from time to time, but I don’t recall Grafton misleading the reader like this before. This was a totally useless character and source of conflict that went nowhere. It isn’t the first time that it’s occurred to me during this series, but the back of my mind screamed about it this time: this book, especially the last 100 pages or so, would be radically different if it were set in the last decade or so rather than in the mid-80s. You put cell phones and email in the hands of Rachel, Kinsey and various law enforcement officers and this book just doesn’t play out like it does. So often this series has plot developments hinge on Kinsey returning to her home or office to check messages or make a call — or her not knowing something because she couldn’t do that. I understand Grafton keeping everything to that era, but man, it’d be fun to see Kinsey work a case now. As I said, the part of the book that worked best for me was the personal-life stories, but I find it difficult to talk about them without getting very spoiler-y, so I’ll keep this to bullet points. As interesting as I find the saga of Kinsey’s reconnecting with her mother’s family, I was glad to get a break from it in this book — Q is for Quarry had a lot of movement on that front, and it was good to let that settle a bit more. I’m not sure what I think about the whole Chaney-romance thing. Sure, the seeds were planted a while ago, but things seemed almost too good here. Still, nice to see Kinsey happy/content/on the verge of it — and not deluded like she was with Dietz or the married cop; or self-destructive like she was with her exes. Not my favorite in the series, but there’s enough here to keep me going. Eh, at this point I’m in through Z is for Z___, who am I trying to kid?